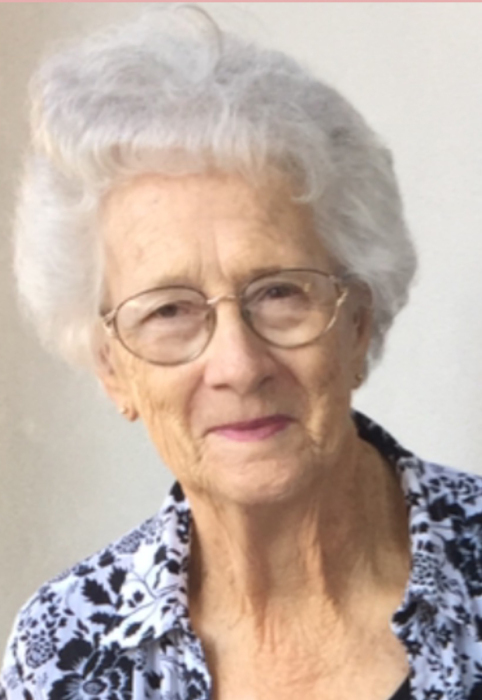 Carole Burroughs, age 84, of Coleman, died peacefully on Tuesday, February 5, 2019, in Carrollton, Texas, with her family by her side. There will be a time of visitation for family and friends on Friday, February 8, from 5:00 p.m. until 7:00 p.m., at Stevens Funeral Home, 400 W. Pecan Street, Coleman. Funeral service will be held 2:00 p.m. Saturday, February 9, in First Baptist Church, 200 E. College Avenue, Coleman, with Rev. John Stanislaw, former pastor, officiating. In keeping with Carole’s wish for a celebration, eulogies, remembrances and stories will be shared by family members. Interment will follow in the Coleman City Cemetery under the direction of Stevens Funeral Home. She was born Carole Jean Harrison on July 15, 1934, in Ovalo, Texas, a daughter of John L. Harrison and Lula E. Williams Harrison. She grew up in Ovalo and graduated from South Taylor High School. From 1952-1956 she attended and graduated from Hardin-Simmons University, with a Bachelor of Science degree in Secondary Education/Business Administration with a minor in English and Physical Education. On February 14, 1959 she married Douglas Burroughs in Ovalo, and he preceded her in death on November 26, 1988. Following their marriage, they settled in Coleman where she was a school teacher in middle school from 1960-1998. After retiring from teaching, Carole stayed busy with many activities, including Daughters of the American Revolution, Coleman County Retired Teachers, Delta Kappa Gamma and Eastern Star. For over 20 years she served as Election Judge for Precinct 1. Although she had sewed for most of her life, she learned to quilt and made many beautiful quilts for her family and friends, finally making one for herself, which she finished not long before her final illness. She is survived by her two daughters, Nancy Brooks and husband Edward of Horseshoe Bay, Kathy Burroughs and partner Allison McCann of Frisco; five grandchildren, John Edward Brooks III (Trey) and wife Taylor of Burnet, Rhett Douglas Brooks and fiancée Madison Rose of Horseshoe Bay, Beckett Burroughs-McCann, Tanner Burroughs-McCann, and Grayden Burroughs-McCann, all of Frisco; brothers-in-law, Sumter Weatherred of Coleman and Phil Burroughs of San Angelo; a beloved sister, Barbara Cox of Coleman; nephew and nieces, John Mark Weatherred of Keller, Phyllis Burroughs Lee of San Angelo, Linda Groff of Llano, Jerry Burroughs of Dallas and Mike Burroughs of Austin; several cousins. She was preceded in death by her parents, John and Lula Harrison; her husband, Doug Burroughs, and her sister, LaVerne Weatherred. Since education was an important part of her life, her family asks that in lieu of flowers, you consider a memorial to the Carole and Doug Burroughs Scholarship Fund, c/o Coleman County State Bank, P. O. Box 940, Coleman, Texas 76834. Pallbearers will be Edward Brooks, Trey Brooks, Rhett Brooks, John Mark Weatherred, Michael Lagow, Brian Cates and Mac Watson. Honorary pallbearers will be Howard Childress, Sumter Weatherred, Royce Young, Bill Dawson Staggs, Bill Street, Melvin Faircloth, Beckett Burroughs-McCann, Tanner Burroughs-McCann and Grayden Burroughs-McCann.